Rollingstone Magazine is calling it an unlikely, Caribbean-inflected new album. And perhaps that’s why we love it so much. 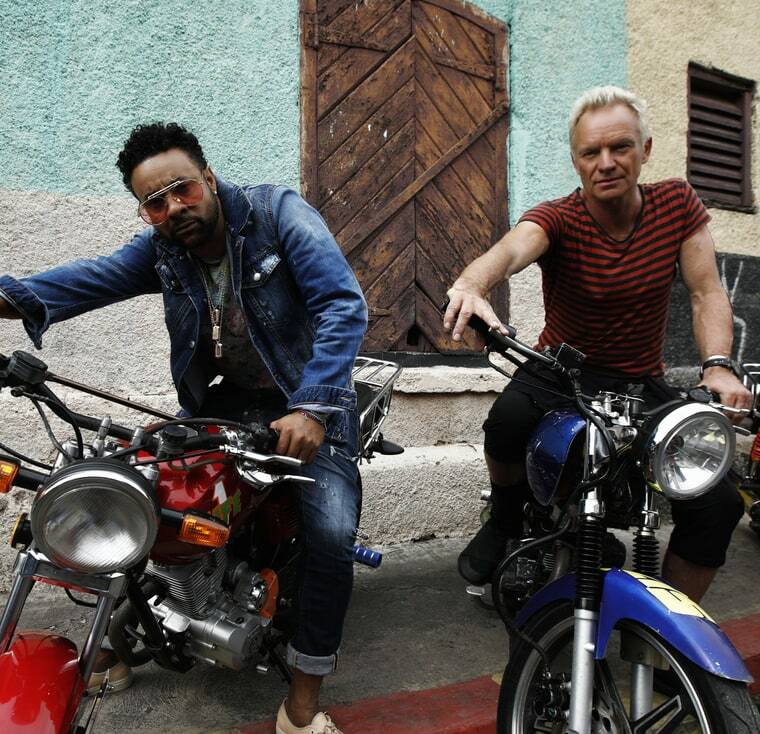 Former Police bassist Sting and Jamaican dancehall star Shaggy. It just doesn’t get any better – this is just epic. “Don’t Make Me Wait”, produced by Shaggy’s long time producer Shaun “Sting International“ Pizzonia just has to go down in history as one of the best collaborations ever. Sting International responsible for Shaggy’s most notable hits such as “It Wasn’t Me” and “Mr. Boombastic”. So how did this all happen? According to Rollingstone the duo first hooked up last summer during a Shaggy session at L.A.’s The Village studio produced by Martin Kierszenbaum – who was the MC’s A&R rep during his nineties hit making run and who is now Sting’s manager. Kierszenbaum had sent Sting an in-progress Shaggy tune, “Don’t Make Me Wait”, and the British star was immediately struck by the song. The Rollingstone article goes on to say that Sting actually left his West Coast home in Malibu and headed to the studio, where he surprised Shaggy by rolling through the door singing the hook. Sting was quoted as saying, “…as far as I know, that sounds like a hit to me”. Now the world can’t wait for the highly anticipated album 44/876 which is slated to be out April 20th.